One of the blessings of being a church in close proximity to a university or college is the way each can be a benefit to each other and work with each other. The students and faculty of Nebraska Wesleyan University are such a gift to First United Methodist enlivening every part of our church ministries. One of the amazing people I got to meet as the church organist is the amazing organ professor at Wesleyan, Dr. Masako Bacon. Her students love her and her husband, Dr. Boyd, and the creative things they do with their teaching. With this in mind, I was hoping that we could see more students take organ lessons at the school, or perhaps there might be a student who hadn’t considered taking organ but might if it were more affordable. So we started an organ scholarship fund at the church to make lessons free for Wesleyan students and this semester Dr. Bacon is teaching five organ students. Two are involved at First Church and one is considering going into ministry! Who knows where these students will end up or if they will go into music ministry and be able to help lead God’s people in worship with the pipe organ. One such amazing student is Chase Crispin. Chase, though blind, can play the pipe organ and bass clarinet, and sing. By being a part of the congregation at First Church while a student at Nebraska Wesleyan, he has helped us to work to be a more inclusive and welcoming congregation by collecting money and purchasing Braille hymnals and helping us to find ways to make the worship services engaging for those who cannot see. Chase has played organ a couple times in worship and we have been so inspired to see his faith in Jesus Christ be such a witness to our church family and to community members who come to support him. 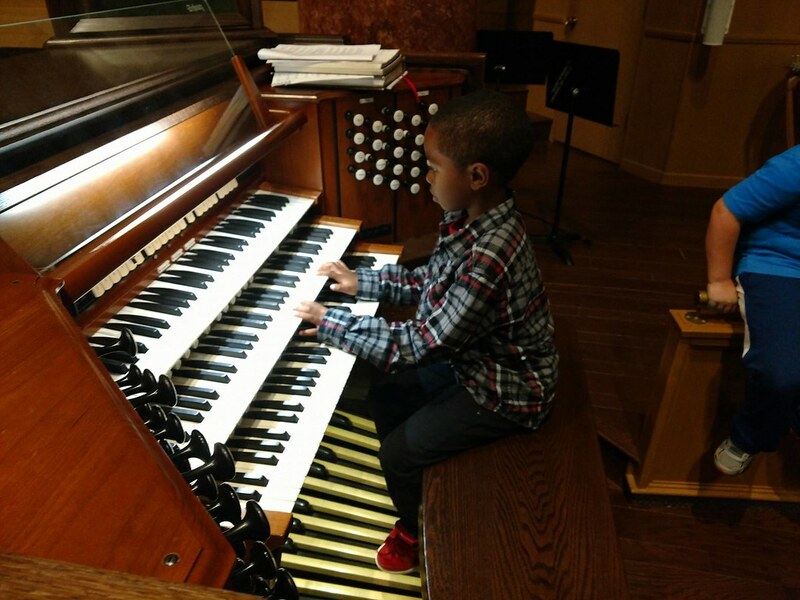 Retired individuals take lessons, children encounter the organ in children’s programing at the church and outreach events such as Vacation Bible School, and organists from other churches come and practice on the instrument if they work nearby or things are happening at their own churches. We thank God for the ways the organ is being used at Nebraska Wesleyan and at First United Methodist to teach, inspire and impact the next generation as we work to make disciples Jesus Christ of all nations, in the name of the Father and of the Son and of the Holy Spirit. If you would like more information about the organ scholarship fund for Wesleyan Students at First United Methodist Church, please contact Brent Shaw Trenney, Minister of Music and Evangelism.